When Alex Anthopolous took over as GM of the Blue Jays, one of his first priorities was to return the club to its scouting roots. Under the previous regime of J.P. Ricciardi, the scouting department was cut back considerably, and Toronto was no longer considered to be a standard bearer of acquiring and developing prospects. The 2009 Jays media guide listed 13 area scouts and 4 national cross checkers to take care of evaluating amateur players, and nine pro and major league scouts. A year later, Anthopoulos had put together a scouting staff of 21 pro and MLB scouts, and 24 area scouts and 8 cross checkers. It was the biggest scouting department in the game. The benefit of this increase was to make each area scout's geographical area smaller, which allowed them to get more looks at players, and get to know them better. By 2011, the second draft under Scouting Director Blake Parker, the Blue Jays were at the top of their scouting game. The Blue Jays had taken advantage of old draft rules to hoard picks: in 2010, they had 8 of the first 93 (taking, among others, Aaron Sanchez, Noah Syndergaard, and Justin Nicolino). In 2011, they had 7 of the first 78, landing Joe Musgrove, Daniel Norris, and later, Anthony DeSclafani. Interestingly, top pick Massachusetts prep righty Tyler Beede, who had told all MLB teams a month earlier that he had committed to Vanderbilt and therefore not to select him, failed to sign after the Jays chose him 21st overall. The compensation pick they received next year, of course, was Duke RHP Marcus Stroman. 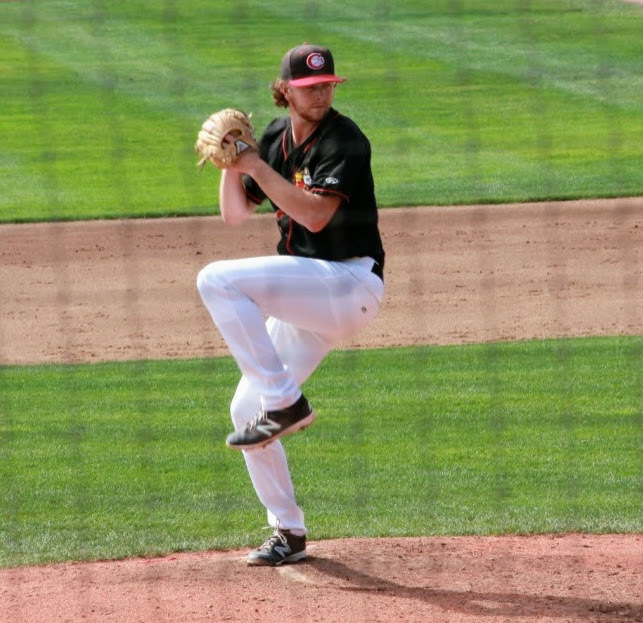 Norris (taken in the 2nd round), considered by many the top high school southpaw in the draft, struggled with his command and overhauled mechanics in his first pro season, but had a breakout 2014, pitching at four levels, and finishing the year with Toronto. Dealt to the Tigers as the centrepiece of the David Price deal last year, Norris has battled some adversity, including a cancerous growth on his thyroid (first detected when he was pitching for Buffalo last summer) which was removed in the off season, and some inconsistency early this year. Norris pitched well in Detroit's rotation for the final two months of 2016, and should be a lock to be stay in it next season. Musgrove was dealt to the Astros in 2012 in the J.A. Happ deal, and made his big league debut against the Blue Jays in August. He set a major league record by fanning 8 in that game, the most ever for a pitcher making his first big league appearance in relief. Musgrove allowed only 1 hit over 4 1/3 scoreless innings, retiring the last 10 hitters in a row. From there, Musgrove moved into the Astros rotation, starting 10 games over the rest of the season. He has to be considered a favourite to land a spot as a starter with Houston next year. DeSclafani was part of the blockbuster deal with Florida that brought Jose Reyes and Mark Buehrle to Toronto 2012, and after making his MLB debut with the Marlins in 2014, he was later traded to the Reds in the Matt Latos deal. Despite missing two months with a strained oblique, he made 20 starts for Cincinnati this year, and also has to be considered to have locked down a rotation spot for next year. They had not yet developed an overwhelming preference for projectable high school arms that would mark later drafts, but Toronto did take high school pitchers with 5 of their first 7 picks. The two bats they had hope for were California HS OF Jake Anderson, who they chose in the 1st supplemental round, and a Georgia HS OF with MLB bloodlines in Dwight Smith, Jr. Anderson's career has been significantly derailed by injuries, and after reaching full season ball with Lansing this year, finished the year with short season Vancouver. Smith has reached AA, and might profile one day as a fourth outfielder, but spent his second season with New Hampshire this year. Few scouts kicked the tires on a kid from suburban Los Angeles when he was a high school senior. Neither did recruiters from Division 1 schools. So, Kevin Pillar headed off to nearby D2 Cal State Dominguez Hills, a school that produced utility infieder Craig Grebeck, who spent three seasons with the Blue Jays in the later 90s. All Pillar did at Cal State Dominguez was hit - he was second in his conference in hitting his freshman season, and set an NCAA record with a 54-game hitting streak in his junior year. But still the scouts tended to give Pillar's game a miss, and 978 players were selected before him when he finished his senior year. The Blue Jays took a chance, taking him in the 32nd round in 2011. Two years later, Pillar was in the big leagues. The son of a former motorcross racer has shown little regard for his health as he made a series of highlight reel catches since establishing himself as a regular last season - he played the last half of 2015 with a broken hand, and he recently had surgery to repair thumb ligaments he injured sliding into 2nd in early August. Pillar provides elite-level defence, and when the team was on its way to scoring runs at a near-historic level in 2015, the offence could carry his .314 OBP. This year, with production down, so was Pillar's walk rate and hard contact rates. His dip in offensive production was not the sole reason the team had trouble scoring runs down the stretch, but it didn't help. Still, Pillar has generated 9.3 of the 15.9 WAR the 2011 draft has produced, and considering how far he has come since his D2 days (no one taken below Pillar has cracked MLB), the Blue Jays amateur scouting staff deserves top marks for this pick. Projected to be an overachieving, fourth outfielder type, Pillar has more than surpassed expectations. Louisiana HS LHP Aaron Nola was taken in the 22nd round, but opted to attend LSU (his brother Austin, a junior infielder was taken in the 31st round, but didn't sign, and returned to LSU for his senior year). The Phillies took Nola with the 7th pick in 2014, and he was in the majors a little over a year later. After a good start with the Phillies (2.65 ERA on June 5th), but was hit hard over his next 8 starts, and was placed on the DL in August with strained elbow ligaments and tendons). RHP Luke Weaver was taken a few picks earlier in the 19th round, but the Florida high schooler opted to attend Florida State. Selected by the Cardinals in the 1st round (27th overall) in 2014, Weaver averaged almost a K per inning before debuting with St Louis this year. He gave up some contact in his first MLB season (46 hits in 36 innings), but he also struck out 45. Andy Burns was one of the top Colorado high school prospects in 2008, but fell to the 25th round to the Rockies due to his commitment to Kentucky. After this sophomore season with the Wildcats, he transferred to Arizona, meaning that he had to sit out his junior year. The Blue Jays had kept tabs on Burns, and even though he didn't play in 2011, took him in the 11th round. Primarily a short stop, the Blue Jays began to groom him in a variety of positions in 2014. He played mostly 2B for Buffalo this year, but can play all four infield and the corner outfield positions. Burns made his MLB debut with Toronto in May, and appeared in 10 games in three separate stints with the team. With his versatility, above average speed, and bat, Burns is all but ready to fill a valuable reserve role with a big league team. Thanks to all of you, loyal readers, for your faithful readership. Since starting this little endeavour in 2013, Clutchlings has accumulated close to 400 000 page views, which has helped our Twitter account to surpass the 1000 follower mark. We've made a lot of friends across baseball, including fans, players, family members, scouts, broadcasters, front office execs, and fellow bloggers. 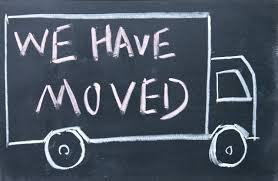 Blogger has been very consistent and reliable over the past five years, but it was time to move on to something a little more recognizable. You can get the same Blue Jays prospect content now at www.futurebluejays.com. We will still to strive to bring you news, insight, and analysis that you can't find anywhere else - or at least you would have to look very hard for it. Thanks again for your support, retweets, likes, shares, etc. 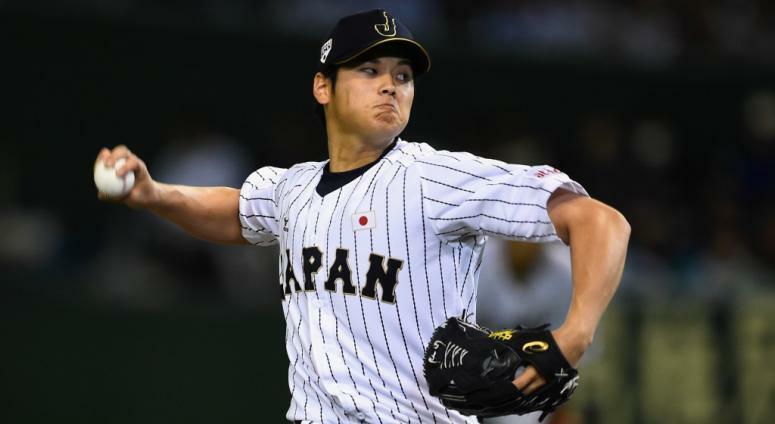 Could Otani Sign with the Blue Jays? He's been called Japan's Babe Ruth, and for good reason. 23 year old Shohei Otani of the Nippon Ham Fighters is easily the best player in the world not currently under contract to an MLB team. That appears about to end, however, as multiple reports from the Far East suggest that he's ready to come stateside next season, foregoing millions of dollars in the process. Otani had an inury-plagued 2017, as thigh and ankle issues limited him to 63 games and 4 starts. The left handed hitter/right handed pitcher was the JPPL's MVP in 2016, hitting .322/.416/.588, and going 10-4 with a 1.86 ERA, fanning 174 in 140 innings. He underwent surgery on the ankle this week, but all indications are that he'll be ready for spring training. Otani is a true generational talent - he can dial his fastball up to 100, and is a dangerous LHH. His desire is to continue to be a two-way player in North America, although most teams pursuing him appear to be content to let him DH a few times per week between starts. Otani reportedly would like to play the outfield on occasion as well. While it's understandable that teams might not want the ace of their staff taking a position on the field in between starts, the Blue Jays happen to have an opening in Right Field, of course, and Otani would fit incredibly well with Marcus Stroman at the top of the rotation. Under the terms of a new MLB collective agreement, players under 25 (who have less than six years' experience in a foreign pro league) can't sign for bonuses of more than about $10 million. Teams are limited to a hard cap of between $4.75 to $5.75 million in bonus money during the IFA signing period, although teams can trade for up to 75% of their bonus pool money - the Yankees received $1.5 million in pool money from Oakland in the Sonny Gray deal, and have quietly upped their total to just over $8 million, the same amount that the Red Sox have to spend. Would they be willing to blow the bank on one player? With a player of Otani's status, that seems likely. Unlike the bidding for previous Japanese players, the playing field is fairly level. Some of the bigger players, like the Cubs and Dodgers (who Otani almost signed with out of high school), can't sign an IFA for more than a $300K bonus because they exceeded their pool limits in the past. There currently are as many as 8 teams that theorectically could offer him the max bonus of $10.1 million, but 3 of them (Royals, Padres, and Cardinals) also are limited to $300K. If he was to wait two more years, Otani would likely command a deal in the $150-200 million range. 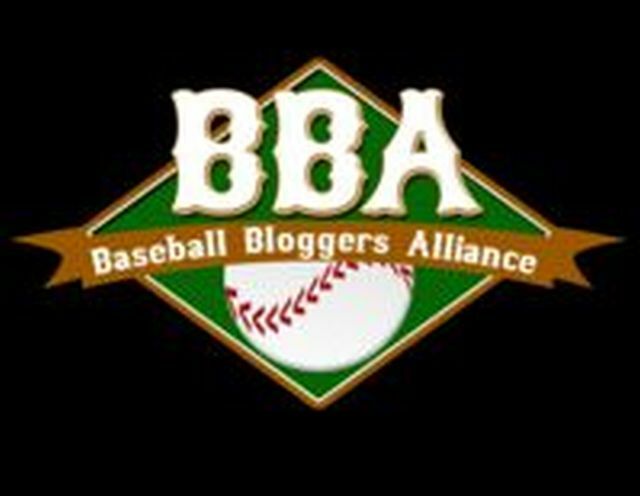 Even though the new CBA dictates that he has to sign a minor league contract, and would be limited to the MLB minimum of $545 000 (and would be subject to MLB's service time rules, which would mean that he wouldn't be eligible for free agency for six years), there are some who suggest that Otani's reps will be sure to include some sort of under-the-table extension agreement. While that may be the case, if such an agreement were discovered by MLB, the penalties would be harsh. The scrutiny the Braves are currently undergoing as a result of past transgressions in the international market (which has already cost GM John Coppolella his job) might cause a team to think twice about such an arrangement. Where do the Blue Jays fit in the Otani scenario? They have quietly been building a relationship with both Otani and the Fighters. Dan Evans, the Blue Jays Director of Pacific Rim Operations, has a lengthy relationship with teams and player across the ocean dating back to his days as the Dodgers GM. One of the most respected MLB scouts in Asia, Evans has been following Otani since his days as a storied high school player, and has spent a fair amount of time in Japan following him since he turned pro. Evans has also built strong ties with the Fighters' front office. When Otani returned to action this fall, a number of Jays personnel joined Evans in Japan scouting him, including Assistant GM Andrew Tinnish, director of pro scouting Ryan Mittleman, and several west coast scouts. Teams simply don't make this type of investment in a player (sending a sizeable contigent to Japan for several weeks is a huge expense) if they're not all in on him. Many teams have sent multiple front office types, of course, but few have had as sustained (or as prominent) a presence as the Blue Jays. In order to go on the international market, the Fighters will have to post him. The posting fee this time around is said to be in the $20 million range - a far cry from past posting fees. Despite leaving all that money on the table, stories from Japan state that Otani lives very frugally. His parents give him a stipend of $1000 US per month from his earnings, most of which he spends on fitness books and workout equipment. This is a player who appears very much to want to prove himself in MLB, and the money - at this point - seems to be secondary. The Rangers appear to be very much in the running, along with the Blue Jays, Red Sox, and Yankees. Perhaps the Cubs and Dodgers, who covet Otani, could still be in the running despite their bonus limitations, with the promise of future earnings. The Padres and Mariners also reportedly have been in the mix. One thing is for certain - the team that does sign him will win the lottery, getting an MLB-ready impact player for half the cost of Lourdes Gurriel Jr, who the Blue Jays gave a 7 year/$21 million deal to last year. Are the Blue Jays a player for his services? No one knows for sure, but if the Blue Jays fail to sign Otani, it won't be for a lack of effort. Unlike past IFAs like Aroldis Chapman, Daisuke Matsuzaka, and Yu Darvish, all of whom the Jays were reported to be "in" on, there's at least a feeling that the Blue Jays at least have a chance this time. The Blue Jays will be sending one of the largest groups of players to the Arizona Fall League in recent memory. 8 players and one coach will suit up for the Peoria Javelinas when play begins later today. The AFL serves as a finishing school for the top prospects in most organizations. Teams use the experience to see how their players stack up against elite competition. The time in Arizona is also used by teams to give their players some added reps if they had missed some time due to injury during the regular minor league season. Four pitchers will be playing for Peoria on behalf of the Blue Jays, including relievers Andrew Case, Jackson McClelland, and Danny Young. New Brunswicker Case does not blow hitters away, but with his command and ability to set up batters allowed him to limit hitters to a .230 average at 3 levels this year after beginnning the year in High A. McClelland, like Case a RHP, saved 15 games in 16 opportunities between Lansing and Dunedin this year, with a tidy 1.08 WHIP. Young is a sidewiding lefty who changed his arm slot last season. After starting the season at Dunedin, left handed hitters managed only to hit .154 against him in AA. The Blue Jays are building some impressive bullpen depth in their system, and it won't be a surprise to see this trio fare well in Arizona. Starting Pitcher TJ Zeuch, the club's first round pick last year, seemed primed to take off this season. A lower back strain landed him on the DL in June, and his rehab was set back by a hamstring strain. Zeuch returned in August, but on a strict innings/pitch limit. He's in Arizona to make up for lost development time, having only pitched 11 innings since the end of May. The Blue Jays will be sending a pair of Catchers to the Southwest. Max Pentecost has missed considerable time since being drafted in the first round in 2014. 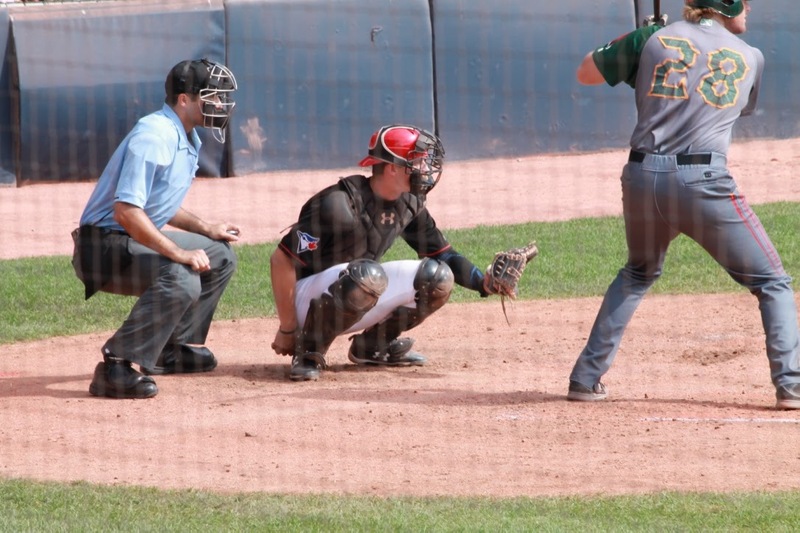 After a successful return in a role limited to DHing last year at Lansing and Dunedin, Pentecost returned to Catching with the D-Jays, also spending time at 1st and DH. Injuries forced him to be shut down for much of June and again for most of August. A premium talent who likely would be a big leaguer by now if not for the time lost to injury, it will be interesting not only to see how Pentecost fares against the advanced competition in the the AFL, but what position he will take on the field. Many have wondered if he can stand up to the rigors of Catching every day, and with the development of Danny Jansen and the acquisition last year of Reese McGuire, the Blue Jays may be contemplating moving him out from behind the plate. Javier Hernandez, who may be the best defensive Catcher in the system, will join Pentecost on the Peoria roster. Injuries limited his season debut until late June, and he's in Arizona for some added reps. The verstaile Lourdes Gurriel Jr will also suit up for Peoria. The much-heralded off season free agent signing from Cuba had his own injury struggles this season. Splitting his season between Dunedin (18 games) and New Hampshire (46), Gurriel showed plenty of promise on both sides of the ball. Gurriel split time between SS and 2B this year, but showed MLB-ready skills in terms of his reactions to ground balls, as well as his footwork, hands, and arm. His bat was a different story, which can be at least in part attributed to two seasons of inactivity prior to this one, and some time on the DL earlier this year. He's in Arizona to help accelerate his development. OF Jonathan Davis, who has shown an ability to get on base throughout his minor league career, and can play all three Outfield positions, is the 8th Toronto prospect assigned to Peoria. Rounding out the Toronto contingent is former MLBer Corey Hart, who drew raves for his work as Dunedin's hitting coach this year. The AFL serves as a lab for the latest MLB pace of play experiments. The pitch clock will be tinkered with this year - with no runners on, a Pitcher must come set before the 12 second clock runs out. With runners aboard, he'll have 15 seconds once he receives the ball back from the Catcher. In addtion, mound visits by Managers or Pitching Coaches will be limited to 30 seconds. The extra-inning runner replacement rule will also be implemented this fall. Long used in international play, and adopted by the complex leagues this year, the main purposed of the rule at the lower levels is to help preserve pitching staffs. Starting with the 10th inning, the player who made the final out in the top of the 9th (or a pinch runner), will be placed on 2nd. The same will happen in the bottom of the inning. If no winner is declared after 11 innings of play this fall in the AFL, games will end in a tie. In addition to the Blue Jays prospects, the Peoria lineup features players from the Braves, Mariners, Padres, and Red Sox. Atlanta hopeful Ronald Acuña, Baseball America's Minor League Player of the Year, joins Padres slugging 1B Josh Naylor (a Greater Toronto Area product), and Michael Chavis, Boston's 2nd ranked prospect will don the Javelinas uniform. The AFL plays a compressed six-week schedule, with a winner take all championship game November 18th. The Fall Stars Game on November 4th is usually streamed live, as is the league final. There is a huge assortment of prospect evaluators on Twitter who often live tweet the action. The Blue Jays farm system ended the season on a positive note. As President Mark Shapiro had noted in late August, much of the depth in the organization is still working its way up the ladder, and as if to reinforce that point, 4 of the team's 5 short season clubs made their respective league's post seasons, while three of the four full season teams fell short of .500. In the minors, development supersedes winning. Teams do like their top prospects to move up and learn to win together, so making the playoffs is viewed as a positive thing. It can be also be a chance for tired players to injure themselves. The Blue Jays executives I have spoken to over the years don't necessarily see the minor league post season as a bad thing, but their lack of enthusiasm in noticeable. At the bottom of the ladder, the Dominican Summer League's DSL Blue Jays won their division, only to be beaten in the first round by the Dodgers. Top IFAs from 2016 like Hugo Cardona, Naswell Paulino, Elixon Caballero, and Kenny Mauricio played for the club, which was piloted by veteran Blue Jays minor league Manager John Tamargo. One of the realities of minor league ball is that many of the players plying their trade for an organization are roster fillers. Teams will tell you that they believe that every player they sign has a chance, and while I think the Blue Jays sincerely believe that, the truth is that since only a handful of minor leaguers even get a cup of coffee in the bigs, roster turnover is a fairly frequent thing. Case in point: DSL Jays OF Andres Martinez, a late 2016 signing who was the club's best hitter, and our pick for Player of the Year. Martinez was among the team leaders in Average and OBP, but at 19 (he just turned 20), he was a little old for this level. IF Rafael Lantigua had comparable numbers, and a higher Slugging %, thanks to 6 Triples. He was also 11-23 in Stolen Bases, negating much of the value he created by getting on base. Martinez provided little pop (only 7 extra base hits, all Doubles), and that plus his age probably made the Jays feel he wasn't a candidate to move stateside next year. The DSL Jays Pitcher of the Year race was a tight one. LHP Paulino, a converted OF who can dial it up to 96, fanned 52 in 55 innings, and had a couple of outings where he was all but unhittable. Caballero, a Marcus Stroman-sized righty with an advanced feel for pitching, worked mostly out of the bullpen, striking out 36 in 32 frames. But the award goes to Righty Nathanael Perez, who K'd 55 and walked only 7 in 57 IP. Paulino and Caballero are only 17, while Perez is 19. All 3 will start in the GCL next year. The former two may move fast at some point. The next rung on the ladder would be the Gulf Coast Jays, who were tied with the Phillies entry for first in their division with 10 games left in the schedule. The GCL Jays stumbled to a 4-6 finish, ending up two games behind the Phils and out of the playoffs. The GCL is where high schoolers and lower round college players from the June draft begin their careers. Rehabbing minor leaguers from upper levels also return to action via the GCL. CF Dominic Abbadessa, a 2016 23rd rounder whose debut season was limited to 15 games, was the team's top player (.340/.402/.408), and our Player of the Year. The GCL Jays Pitcher of the Year choice was fairly obvious. Even on a fairly deep pitching staff, Maverik Buffo stood out. A 34th round choice out of BYU, Buffo's elbow issues of last year likely caused teams to pass on him, and even the Blue Jays seemed reluctant to let him leave the confines on the minor league complex, where the team's medical staff is located. Buffo dominated GCL hitters, allowing only 28 hits and all of 2 walks in 34 innings, striking out 36. His performance earned him a selection to the All Rookie-Level team by Baseball America. The wraps should come off Buffo next year, and he should be headed to full season ball. Another BA All-Rookie Choice, 1B Ryan Noda, gets the nod as Bluefield's Player of the Year. Noda was an Advanced Triple Crown winner - Average, OBP, Slugging - in the Appy League. The 15th round pick from Cincinnati flirted with .400 for much of the summer, before finally finishing with a line of .364/.507/.575. Described by a source who saw him with Bluefield as, "very patient, bordering on passive," at the plate, he will see more advanced pitching in full season ball next year. Southpaw Randy Pondler is our Pitcher of the Year for Bluefield. The Nicaraguan formed an effective 1-2 punch with 18 year old Venezuelan Maximo Castillo, and both (along with Buffo and several Vancouver arms) should lead an upgraded pitching staff at Lansing next year. Pondler is a long and lean lefty with a live arm who throws low 90's heat, and his best secondary is an 11/5 curve that flashed solid depth and bite, according to reports. Appy League voters obviously felt the same way about the pair; Noda was named Player of the Year, while Pondler took hom Pitcher honours. Vancouver returned to the Northwest League finals for the first time since 2014, and didn't disappoint, defeating the Cubs' Eugene affliate 3-1, and capturing their 4th NWL crown in 7 years as a Blue Jays farm club. SS Logan Warmoth (1st), and C Riley Adams (3rd) were two June picks who stood out in leading the C's to victory. There was not a lot to choose between the two offensively, but Adams played 52 games at a demanding position, and helped guide a pitching staff that got better as the season progressed, and takes the award as a result. The C's Pitcher of the Year was an easy selection: RHP Nate Pearson, the team's 2nd first round pick (28th overall). Pearson tired a little at the end of the season, but he consistently sat 96-98 with his fastball, hitting 100 a number of times, and NWL hitters were no match for his heat. Through his first five innings-limited starts with the C's, Pearson did not allow a runner past 2nd. In the playoffs, he dialed his fastball up, fanning 10 in 4 innings vs Spokane in the division final. SS Bo Bichette and 3B Vladimir Guerrero Jr entered the 2017 season as teenagers with considerable promise. They ended it as two of the top prospects in the game. Bichette was above .400 as late as June 28th, and finished his time in the Midwest League a week later with a .384/.448/.623 line before joining Guerrero in a promotion to Dunedin. Vladdy Jr may be garnering more prospect acclaim, but there is everything to suggest that Bichette profiles as an impact MLB bat as well, with above average base running skills and Baseball IQ to go with it. The numbers he posted in Lansing earned him league MVP honours, as well as our POY. Lansing's Pitching staff caused some long nights for its fans, finishing at the bottom of the MWL in most stats. There was promise at the beginning of the season, with Justin Maese and Patrick Murphy fronting the starting rotation, and Zach Jackson and Jackson McClelland anchoring the back of the bullpen. 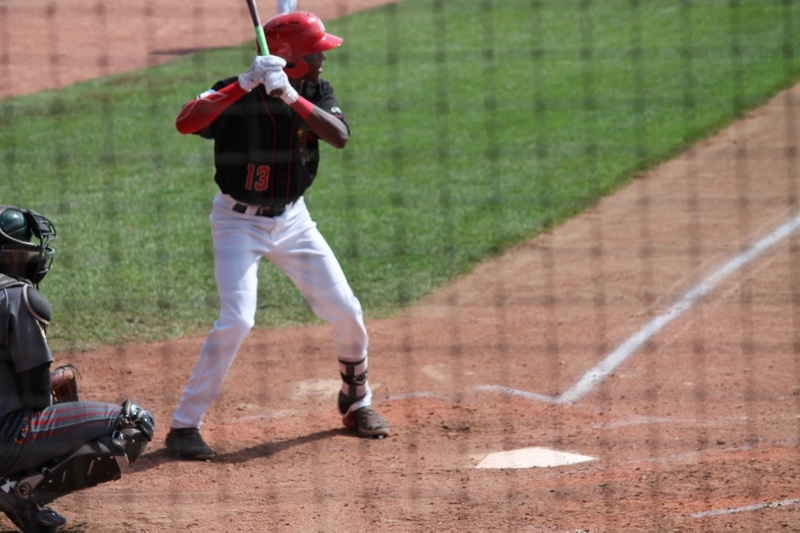 With the former pair injured for a good chunk of the season, and the latter two promoted to Dunedin, the Lugnuts allowed a considerable number (1.56 WHIP) of base runners. Maese missed all of June and half of July before returning from a shoulder fatigue shutdown. Murphy missed a similar amount of time, but was much more effective than his rotation partner upon his return, earning a late-season promotion to the D-Jays. His tidy 2.94 ERA over 15 starts, 48.7% groundball rate, and 35.5% opposite field rate speak to a lot of weak contact. And that earns the Arizonan, who returned last year after missing almost two years due to injury, our Pitcher of the Year nomination for Lansing. In the shadow of some more illustrious teammates at Dunedin like the Lansing Bash Twins and Max Pentecost, was Toronto native Connor Panas. The 1B/DH/OF started slowly, but was one of the Florida State League's most dangerous hitters in the second half. Panas led the FSL in Home Runs and Fly Ball%, no mean feat in a well-known Pitcher's league, and earns the Player of the Year title. Dunedin's opening day rotation was one of the best 1-4 in the minors. Ryan Borucki, Angel Perdomo, TJ Zeuch, and Markham's Jordan Romano formed a rotation that promised to lead the D-Jays to the post-season. And while Zeuch and Perdomo missed most of the second half of the season, and Borucki was promoted to AA in August, Dunedin did indeed make it to the playoffs, and captured league co-champion honours in an Irma-shortened playoff format. Last man standing Romano was a large part of that. His 138 K's in as many innings were second-best (behind Borucki) in the system. His 10.1% swinging strike rate indicates that he missed a lot of bats. Romano did not miss a start this season, and with Panas forms an all Greater Toronto Area Player and Pitcher of the Year combo for Dunedin. It was a long season for the New Hampshire Fisher Cats. In a sign of things to come, their first two games were postponed due to the wet Northeastern spring, and after losing 4 of their first 5, the weather continued to play havoc with the Fisher Cats' schedule. They finished 21 games under 500, losing 14 in a row to the Yankees Trenton affiliate over several series. The shining light of the New Hampshire season had to be the play of OF Anthony Alford, who regained his top prospect status after a sideways 2016. Called up to the big club, he broke his hamate bone, forcing another long stay on the DL. When Alford came back, he was sent to New Hampshire until the final weekend of the season. His final line of .310/.406/.429 for the Cats more than proved he will be in contention for a big league job next spring. New Hampshire's Pitcher of the Year was a difficult selection. At the season's outset, the Fisher Cats had three top prospects fronting their rotation in Sean Reid-Foley, Conner Greene, and Jon Harris. All three had their struggles, even with Greene hitting 100 numerous times this season. New Hampshire's bullpen likely kept their season from being a complete write off, and it's from the pen that we bring up Chris Rowley. The RHP spent all of last year pitching in relief for Dunedin after receiving an exemption from his military commitment, but was pressed into starting duty this year when fatigue and inconsistency hit the rotation. Rowley did not miss a beat, and used his success in a starting role into an eventual start for the Blue Jays. 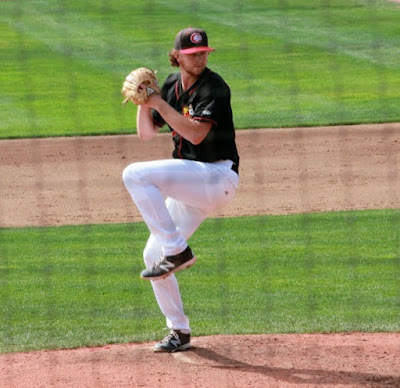 Although he threw only 52 innings before being promoted to Buffalo, Rowley allowed only 33 hits and 9 walks, pounding the bottom half of the strike zone. Rowley is our New Hampshire Pitcher of the Year. AAA rosters have become more like temporary holding pens full of major league insurance. Rosters at this level are often in flux, depending on the state of affairs with the big league club. 69 players suited up for the Buffalo Bisons this year, 37 of them pitchers. On the player side, one would have thought entering this season that 1B Rowdy Tellez would be a safe bet to be the team's MVP. Tellez suffered through the worst season of his pro career in 2017, held to a .222/.295/.333 line, with only 6 Home Runs. OF Roemon Fields was a revelation in his fourth pro season, however, setting career highs en route to a .291/.355/.352 season. Fields is all about putting the ball in play and getting on base, which he did at a decent rate this season. His career-best 21.8% line drive rate also suggests that he's making better and more consistent contact. On the bases, he swiped 43 while being caught 12 times (a 78% success rate). His defence is without question, and he was a fixture in CF and at the bottom of the lineup. Fields is a fringe major leaguer at this point, with 4th OF potential, but he raised his offensive game this year. Buffalo's Pitcher of the Year was a difficult choice. TJ House, Brett Oberholtzer, and Jarret Grube all logged about 130 innings as starters, but their numbers were fairly mediocre. Murphy Smith gave the team a lot of valuable 7th and 8th innings, and made 8 starts when the rotation was thin. That versatility was important for Buffalo, and gives him the nod. Since the most successful players in any organization tend to be the ones who play at several levels, they don't necessarily get to stick around to post huge numbers at any one stop. In recognition of this, it's worth choosing an over all Player and Pitcher of the Year for the Blue Jays organization. For Player of the Year, two players share the award. C Danny Jansen was healthy for the first time since his debut in 2013, and the results were very impressive. Jansen started wearing sport glasses last fall in the Arizona Fall League in order to help him pick up the spin on his Pitcher's pitches better, with an added bonus that it helped him tremendously with pitch recognition at the plate. Jansen started the season at Dunedin and ended it at Buffalo, with the Blue Jays wisely opting to shut him down at the end of the season rather then place him on the 40-man and promoting him on September 1st. His .323/.400/.484 line for the season was one of the best in recent memory for a Blue Jays minor league Catcher, in addition to his prodigious receiving and Pitcher-handling skills. Vladdy Jr more than held his own as an 18 year old at Lansing. While other players his age were preparing for the draft or college last spring, Guerrero was adding to his growing reputation in full season ball. He put together a line of .316/.409/.480 and played solid if not spectacular defence before being promoted to Dunedin. Against more advanced Florida State League Pitching, Guerrero built on those stats, hitting .323/.25/.485, earning Player of the Month laurels. Vladdy Jr now has to be considered the top prospect in the game. Borucki's performance at three levels this year earns him the Pitcher of the Year award. After fanning 109 in 98 innings for Dunedin, the possessor of the best Change Up in the organization tossed 7 shutout innings in his Eastern League debut. His August work for New Hampshire (limiting hitters to a .187 BA) earned him a promotion to Buffalo for his final start of the season, where he tossed another six scoreless frames. Borucki's 157 Ks led the system and he was among the FSL leaders in Swinging Strike% and GB rate. The tall southpaw, who is one of the grittiest players in the system after losing two seasons to injury since being drafted in 2012, is on the verge of competing for a Major League job next spring. If there was a Manager of the Year award, Vancouver's Rich Miller would be a cinch to win it. 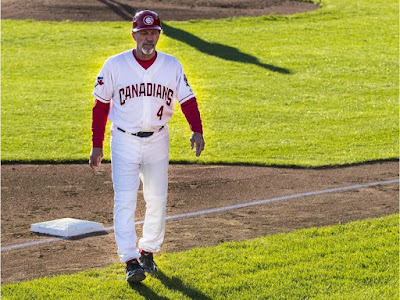 After taking over from John Schneider in 2011 part way through the season to lead the C's to an NWL title, the baseball lifer (Miller has been in the game for 44 years as a player, instructor, scout, and Manager - John Gibbons played for him) had served as a consultant to the Blue Jays for the past several years. Miller returned to helm the C's this year, and led them back to the league championship. Managing a short season team is a unique challenge. Skippers have to blend players who have been at Extended, chomping at the bit for three months for an opportunity to play real games, and recent draftees who have had a whirlwind experience after their collegiate seasons (there was a shorter than usual gap between the MLB draft and the start of the NWL season this year). Throw in playing in a new country, often far from home, and Miller had a huge challenge in harmonizing his roster and coming up with a winner, coaxing the best from his players, many of whom had never experienced large doses of failure in the game before experiencing it in the Pacific Northwest. One can only imagine the amount of patience it took. So now maybe we have a MOY award as well. Northwest League voters agreed with this choice in naming Miller the league's Manager of the Year. "You're hired to be fired," is another baseball truism. Baseball is above all else a business. Clubs make personnel and roster moves that are in what they believe are the long term best interests of the organization. I was stunned to learn from Miller yesterday that he had been let go by the Blue Jays after bringing a title back to the Lower Mainland. To his credit, he was still willing to grant the interview request I had made despite this. I suspect he will be philosophical about his departure, and I'll reserve judgement about it until I speak with him. He's a good baseball man, and if he chooses to stay in the game I have no doubt he'll find another job quickly. People in the eastern half of the country may not know it, but the country's most successful baseball franchise of the decade has been based on the West Coast. The Short Season Vancouver Canadians of the Northwest League captured three consecutive league championships (and just missed on a 4th) from 2011-13, and have consistently been among the leaders in attendance, leading the loop for the third season in a row in setting a NWL record by attracting over 239 000 fans this year (an average of 6 303 per game). And after capturing the first half division title, they are off to the playoffs again this week. A fan who was visiting the Lower Mainland and area last week stopped by to catch a couple of games, and came away impressed, which had been the case on his previous visits. The C's home of Nat Bailey Stadium is located minutes away from downtown Vancouver in an otherwise quiet mid-town neighbourhood. The Nat, which hosts the University of British Columbia Thnuderbirds in the spring, was built in 1951, and the stadium does show its age. The Canadians have made a number of improvements and upgrades to the stadium, but the concrete grandstand from 1st to 3rd is still the hub of the park. Comfortable field level chairs grace the lower half of the stadium, but good old fashioned hard-backed benches are found in the upper level. Several pillars make for partially obstructed views, and the setting sun down the 1st Base line can make for steamy conditions in the upper reaches along the 3rd Base line in the early innings. Family friendly entertainment can be found down the LF line, and a new seating area just beyond the LF wall opened last year. If you're booking more than two tickets, be sure to do so months in advance. The Nat is also only a short walk away from Vancouver's Sky Train, which may pale a bit in comparison to Toronto's subway system, but is a quick way to get around the city. 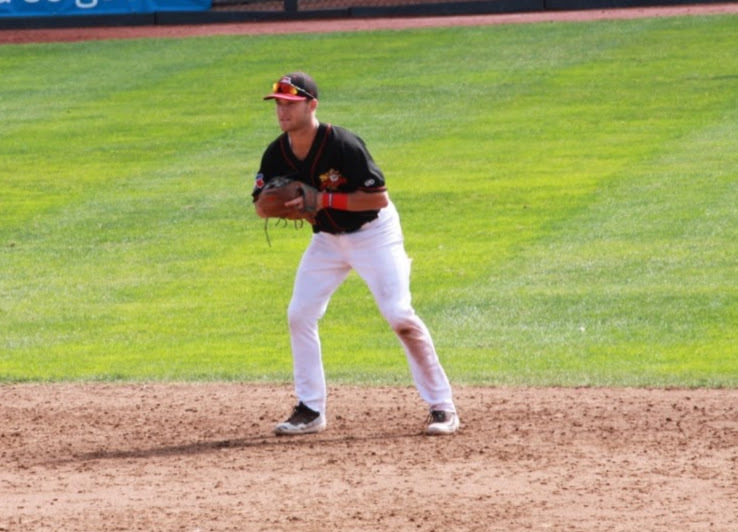 Northwest League rosters are populated by college players taken in the recent June draft, as well as a sprinkling of players who have worked their way up from the lower levels. The Blue Jays like to have Vancouver as a stop along the way to a major league career for their top prospects - players have an incredible home atmosphere to play in, plus it gives them a taste of living in Canada, learning to deal with issues such as the currency, and going through Customs on road trips. Several high draft picks from this past June, including SS Logan Warmoth, P Nate Pearson, and C Riley Adams were sent to the Pacific Northwest this year. Adams, Toronto's 3rd round choice, had a reputation as a bat-first Catcher coming out of San Diego U. At 6'4", he's somewhat big for the position, but he is athletic (Adams has a Black Belt in Karate), and presents a low target. His work last week in terms of blocking and handling Pitchers appears to be at least adequate, but his framing needs a bit of work. He showed a rifle arm in cutting down a runner, but his arm has been described as inconsistent. He will no doubt be going to Catching Finishing School with Roving Catching Instructor Ken Huckaby at Instructs later this month. At the plate, Adams shows a good approach, and uses the whole field. He posted a good .305/.374/.438 line in the Northwest League this summer. Although he needs some work with his receiving skills, Adams too profiles as a major leaguer one day. We detailed Pearson in a previous post. After fanning 10 over 4 innings in the C's first playoff game against Spokane, he further cemented his status as a rising Pitching prospect. The C's had a solid group of next level prospects as well - guys who may not profile as Major Leaguers just yet, but are worth following. 9th rounder LHP Zach Logue and 10th round RHP Justin Dillon formed an effective piggyback duo over the last half of the season. White Rock, BC native Brayden Bouchey was very strong out of the C's pen. He topped out at 90-91, but the 6"6" righty has a funky, over-the-top delivery that can be tough on right handed hitters. LHP Travis Bergen, who has missed considerable time since being drafted in the 7th round in 2015, was lights out in relief, sitting 92, but with excellent fastball command and secondaries. If he were to stay healthy and perhaps add a tick or two of velo, he could move quickly next year. 1B Kacy Clemens, son of Hall of Famer Roger, showed good defensive skills at 1st, but his bat speed seem to be wanting. Vancouver press box regulars suggested that he's worn out after his first pro season, which is not unusual for a college player; between college and the pros, he's played over 120 games this year. CF Reggie Pruitt is among the fastest players in the system, and covers a tremendous amount of ground in the outfield. He's progressed at the plate, but his strike zone judgement is still in need of further development - a 26% K rate won't cut it for a player with his game-changing speed. His offensive numbers were better in the second half, so maybe he's on an upward trajectory. The C's swept Spokane, and face the Cubs' Eugene affiliate in the Best of Five League finals. The series starts in Eugene this weekend, then shifts to Vancouver for the remainder of the series.